Stocktaking in the Hotels and Catering Department of H & G Simonds Ltd – after the Second World War. The Head Office for Simonds Hotels and Restaurants was situated in a small suite of offices in Castle Street, Reading, which backed onto the main site of the brewery. In 1946 there were just two staff, the stock-taker and a trainee, who were responsible for about 27 hotels strung between London and Torquay, Devon. The stocktaking for the majority of this estate was undertaken by the team in Reading, who used public transport to visit them, however they utilised the services of an outside stock-taker based in Torquay to cover seven of the hotels in the Devon Area. To get a true picture of the job in that period it must be appreciated that the stock-taker was expected to visit a multi bar hotel, take separate main stock and bars stock on the liquid side and then do a food stock and audit. The following day the extended stock result had to be worked out with only the aid of a ready reckoner, a laborious process. So Monday, Wednesday and Friday were stocktaking days while Tuesday, Thursday and Saturday was taken up with working out the results, writing reports and preparation for the following day’s visit. One of the stock-takers, Mr Sidney S. Brunsden, undertook the training of Raymond Rowland in 1949. Training took about three months; this was supplemented by two or three weeks training with Mr. George Webber in Torquay. As a trained stock-taker, Mr Rowland’s annual earnings for the tax year 1949-50 were £352. Norman Clements joined the Hotels and Catering Department from Surrey Trust Hotels around 1950. Simonds used the same system of book-keeping so Mr Clements was familiar with the systems and had a wealth of experience in the stocktaking and auditing of hotels. When Mr Brunsden, the Head Stocktaker, was promoted to Chief Clerk, due to the early death of the incumbent, Mr Clements was promoted to the post and another recruit was required. Mr Clements’ enthusiasm in raising standards was contagious; he expected high qualities of work, professional conduct and attitude to the multifarious responsibilities which the job entailed. Clear stocktaking procedures were produced relating to bar debts and stock not actually seen, also protocols for stocktaking staff on arrival at managed premises. 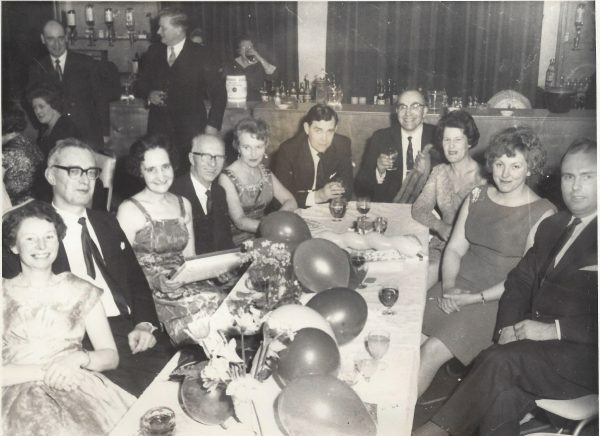 He saw that licensed premises had special needs which not all accountants, valuers and stock-takers were aware of so he, and a couple of likeminded colleagues in the Burton-on-Trent area, set up the Association of Licenced Trade Stocktakers. The Association was incorporated as a limited company on 6th June 1953. The brewery decided to open and run its own managed public houses in 1953 and the stock-takers of the Hotels Dpt. formed the base of a larger stocktaking Dpt. headed by Norman Clements. The number of Simonds Hotels had reached 35 and there were an additional 5 bar/restaurant/catering outlets. Jim Huntsman, Ken Organ and Les Field were all working in the stocktaking department around this time. Click HERE for a profile on Ray Rowland and his life working for H&G Simonds Ltd which was contributed by his family. In 1954 the Stocktaking Department was dealing with 37 hotels and 8 catering outlets as well as the growing number of managed public houses. By the time the merger with Courage occurred at the end of 1959 the brewery estate consisted of 1132 pubs, hotels and restaurants and over 60 off-licences, mostly located throughout the south and west of England and South Wales. Many of these were managed establishments requiring not only routine visits from a member of the stocktaking department but also whenever there was a change of manager or a refurbishment of the premises.